There's only one way to warm brandy without sacrificing its sensual melange of woodsy vanilla, fresh apricot and caramelized, chocolatey aromas: Gently. 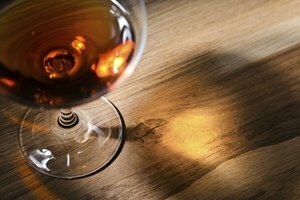 High-quality brandies, especially those from the Cognac region, taste best when warmed to room temperature -- best accomplished with a few minutes of body heat and a brandy balloon or snifter. Direct flames deal a deathblow to brandy, and you want to avoid them -- unless you're flambeing. Classic brandy flambes, such as traditional Christmas pudding, rely on brandy for their final flourish, and they're the only time you should heat brandy directly. 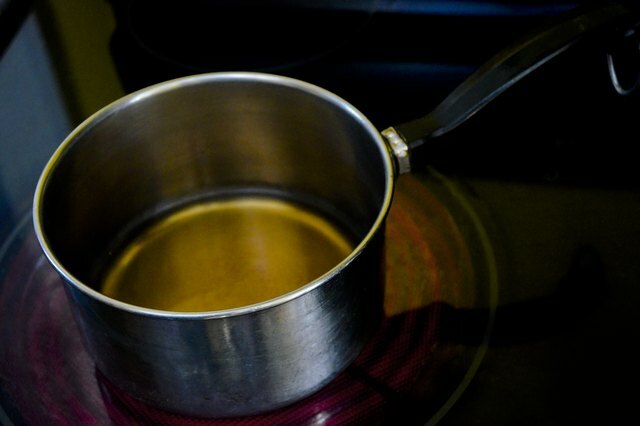 Boil several tablespoons of water on the stove. Hold the glass by the stem. Pour the hot water in the bowl and swirl it for about 10 seconds. Empty the water. Pour the brandy in the glass. 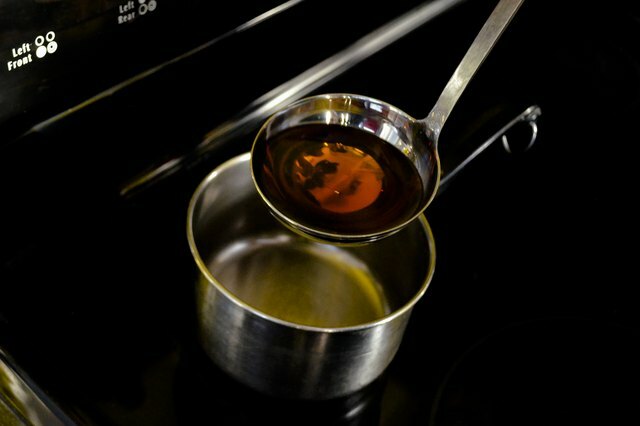 The best amount of brandy to heat so as to maintain its temperature is a standard brandy pour of 2 ounces. 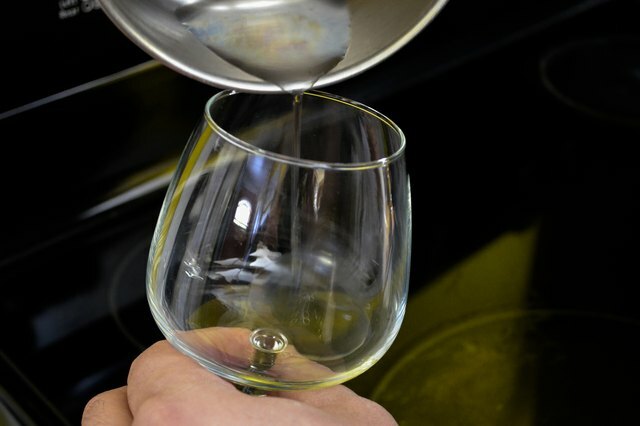 Let the brandy warm by the heat of the glass for about 5 or 6 seconds. Cradle the bowl of the snifter in your palm, with the stem between your ring finger and middle finger, to maintain the brandy's warmth. 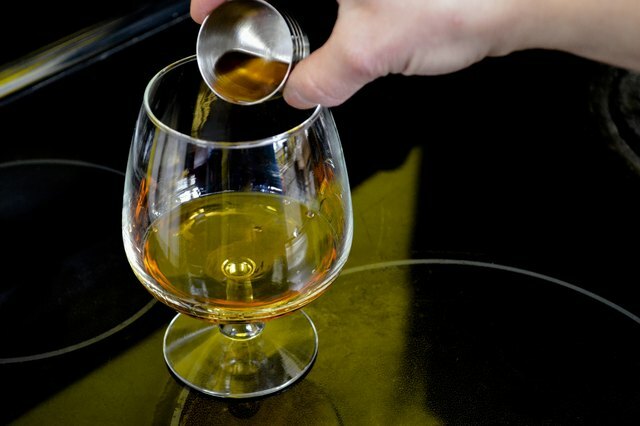 Pour a few tablespoons of bottom-shelf brandy in a heavy-bottomed saucepan. Set it over medium-low heat. 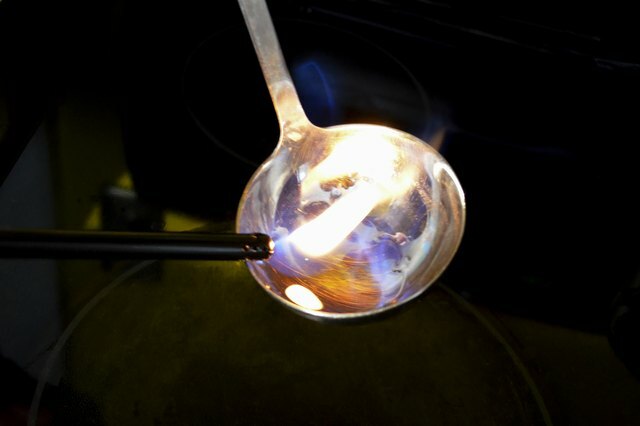 Heat the brandy for about 10 seconds or just until you see small bubbles forming around the edge. Collect the brandy in a long-handled metal ladle. 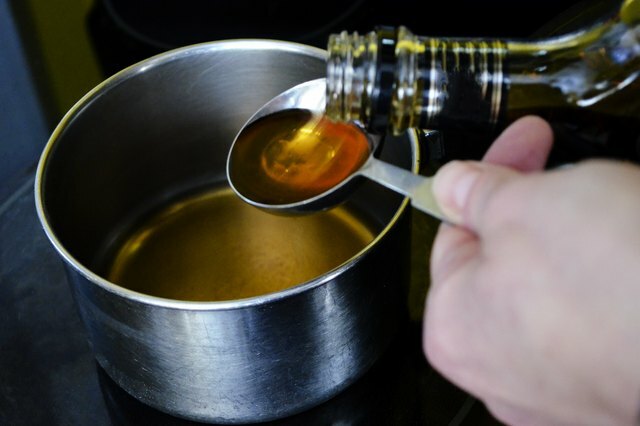 Hold the ladle at a slight angle a few inches above the dessert. Light the air just above the brandy, where its fumes collect, using a long match or safety lighter. Pour the brandy over the dessert. Serve as soon as the flame extinguishes. 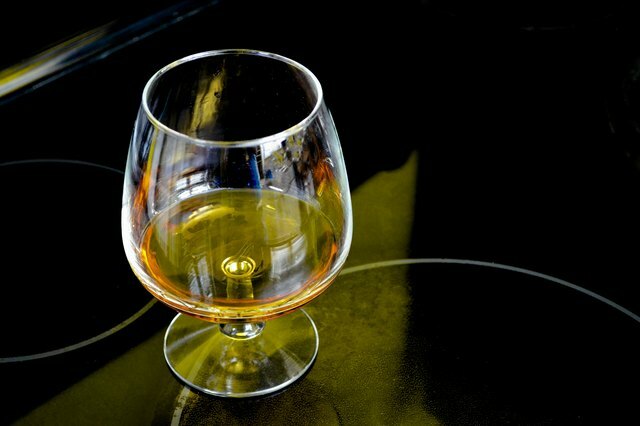 A brandy snifter or a balloon, a goblet-like glass, is necessary to experience the range and zenith of brandy's aroma and taste. 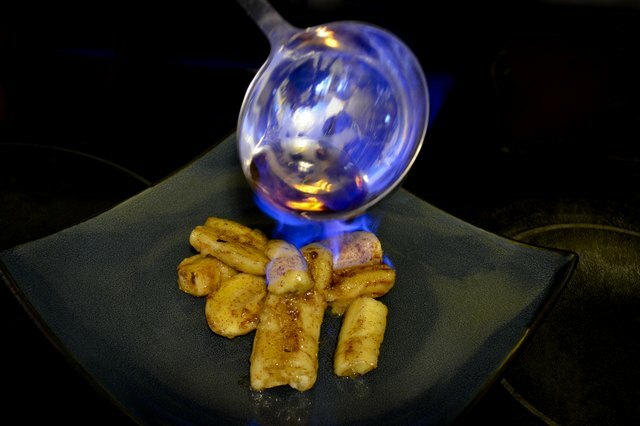 Have a deep pan ready to smother an out-of-control flaming dessert. Brandy radiates a blue flame that's difficult to see in a well-lit room. If you don't see a flame, don't relight the brandy; start over with fresh. Reigniting flaming brandy causes a flare-up. 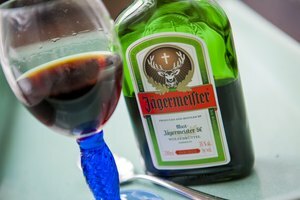 Don't place a bottle of alcohol near an open flame. Don't wear loose-fitting shirts or hanging sleeves when flambeing. 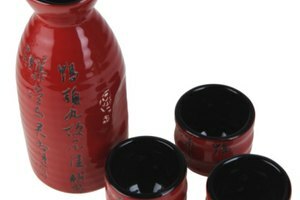 Keep your face pointed away from alcohol when cooking with it.